It’s the age old joke. Moms never have any energy. We are doing our best to stop that (mostly true) stereotype and create more energy for ourselves! Here are ten things that can give your more energy throughout your day! 1) Create healthy sleep routines for yourself – We might not be able to help the fact that we get up multiple times a night to feed babies or chase monsters from underneath beds, but we do have control over our other sleep routines. Making subtle changes like turning all electronics off for 30 minutes before bed to let your mind wind down can do a lot to promote healthier sleep habits and help you get better sleep. 2) Protein in the morning – This is one trick I discovered when I was pregnant. Eating some sort of protein first thing in the morning can help you feel a lot more energetic throughout the day. Even if you are not a big breakfast person you can try something easy like our breakfast balls or these high protein banana muffins. Each of these recipes can be made ahead so grabbing that extra protein won’t add extra stress to your morning routine! 3) Routine – As difficult as it may be, find a routine and stick with it. Train your body that you’ll be going to bed at a certain time and getting up at specific times too. When your body knows your schedule you can get a lot more out of the few hours of sleep that you do have. This also helps you become more disciplined so you don’t end up staying up later than you intended to every night. Creating an invigorating morning routine for yourself can also get your day started on the right foot to give you more energy throughout the day. 4) Drink More – It sounds simple but getting enough water in your system really does do wonders for your energy levels throughout the day. I hate drinking water, but I started doing a few things to help drink more water. The best has been to reward myself with other things when I drink. Example: No coffee in the morning until you’ve had at least one FULL glass of water (Chug the water!!!!). Or not opening Facebook during naptime until another glass of water has been downed. It’s not always easy to drink it, but it does amazing things for mom’s energy levels so it is worth it! 5) Exercise – Counterintuitive but exercising improves your overall health and often, gives you MORE energy! Find time for that morning jog/walk or consider a gym membership. So many gyms have awesome play areas for kids, so kiddos don’t have to be an obstacle in working out. If you don’t have the budget for a gym membership, you can get so many free workouts on youtube! Some are even just five minutes long! 6) Cut back on sugar – I’m not a person that would ever give up sugar entirely (though I think it’s awesome if that’s for you), but cutting back does wonders for a sleepy day. If you need help cutting back try these tips, they are easy and actually do-able. 7) Nap – Yep, sometimes mama just needs a nap. That’s okay! If you need a nap or some extra rest time, there’s no guilt in that! It’s probably not possible every day, but when you are able, never feel bad about squeezing one in. Even if you aren’t a napper, take time for yourself whenever you can. It’s important for your health, and you matter too! 8) Go Outside – Breathe some fresh air and enjoy some time in the sun can improve you mood and you energy! Never underestimate the power of the great outdoors. The best part is, this only takes a few minutes. If you don’t have a lot of time, even just spending five minutes outside can help! 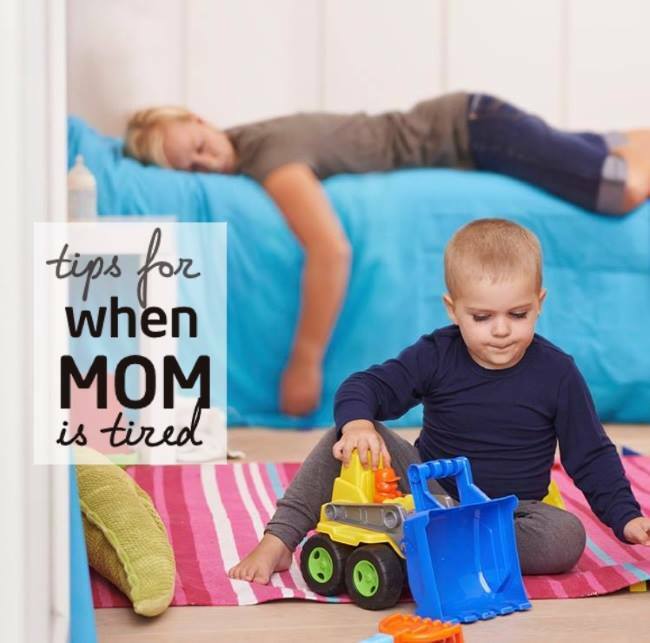 Motherhood is a tiring job, but with these tips it just might become a little easier and you get more energy (even if your kids stop napping). 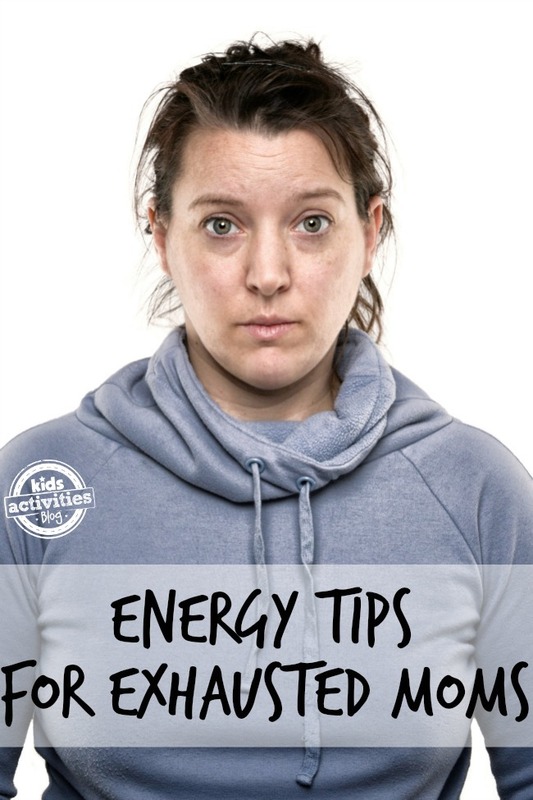 What is your best trick for staying energetic through the long years of motherhood? Paula Rollo is a young wife, mama, author and professional blogger. She has recently published her first book entitled: When baby becomes big sibling. You can find more of Paula's writing on her blog BeautyThroughImperfection.com where she writes candidly about her life as a young wife/mama and strives to encourage others in their daily lives. Keep in touch with Paula on Facebook, Pinterest, Instagram, and Twitter!